Strands, a video installation by Dillon de Give, on view from 8/31 – 9/10/07, is located at points on Manhattan and Meserole Aves in Greenpoint, Brooklyn, NYC. The project seeks to illustrate a taxonomy of life and time on a local as well as galactic scale. 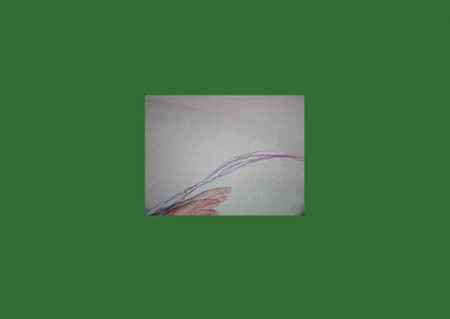 The title of the piece refers to the subject of the videos: groups of multicolored filaments observed under the force of moving air or wind, and alludes to string theory and the romance of deriving an explanation of rules that govern existence under all circumstances. Individual videos are unexpectedly set on monitors in neighborhood establishments (a laundromat, an electronics store, and a florist). The establishments serve as a lens for the work and the work, reminiscent of Rorschach inkblots, creates a psychologically subjective pocket within the establishment. Dillon de Give is a video artist, playwright, and filmmaker living in Greenpoint. 120 Meserole Ave, 7:30am – 8:30pm daily. 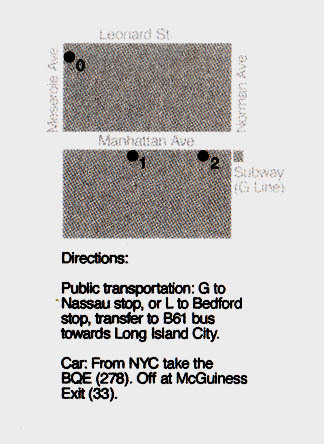 747 Manhattan Ave, 11am – 8pm M-Sat. Sunday 11am – 6pm. 703 Manhattan Ave. 9am – 7pm M-Sat., Sunday 11am – 4pm. I think it is incredibly cool that three local businesses volunteered to participate in this installation. I will definitely check it out …and you should too! For more details, click on either of the above images and you will be directed to Dillon de Give’s web site, implausibot.com. P.S. 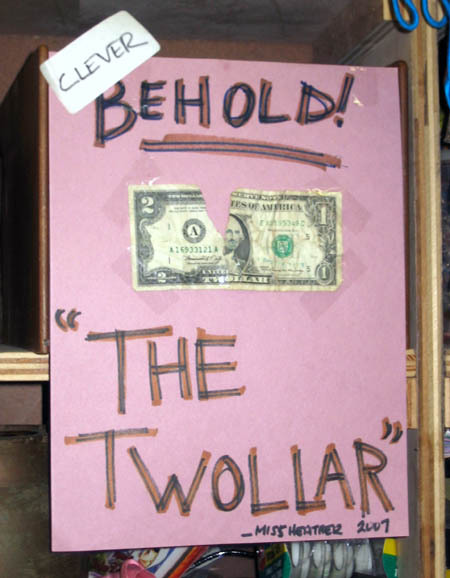 : Those of you with less conventional tastes should swing by the junk shop and check out my latest opus, The Twollar. As you can clearly see, it has been well received.